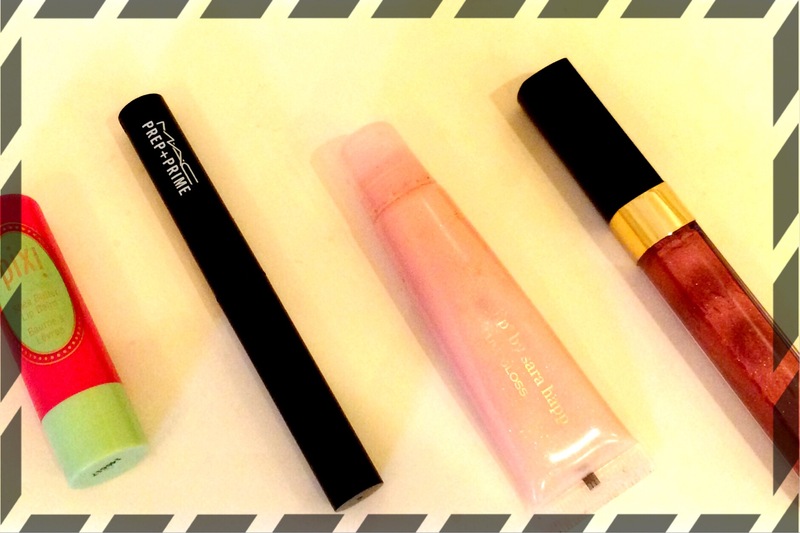 Often I am asked, what’s your favorite lipgloss? In the sea of foundations, how do you pick one? 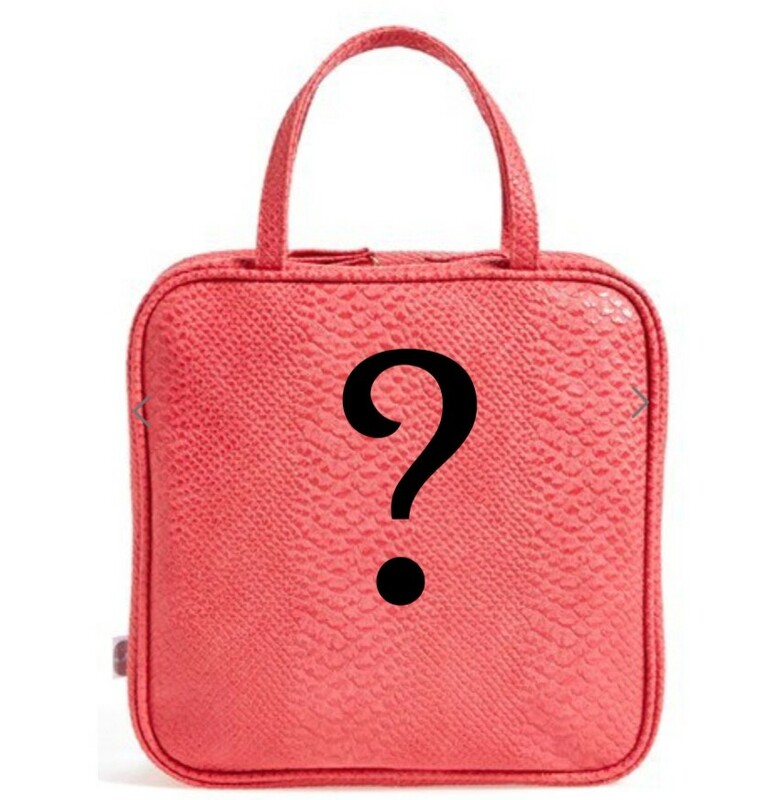 Do you have one item you just can’t live without? Well ladies, it’s time to take a peek inside my makeup bag! For today, I’ve selected items that I can’t live without. 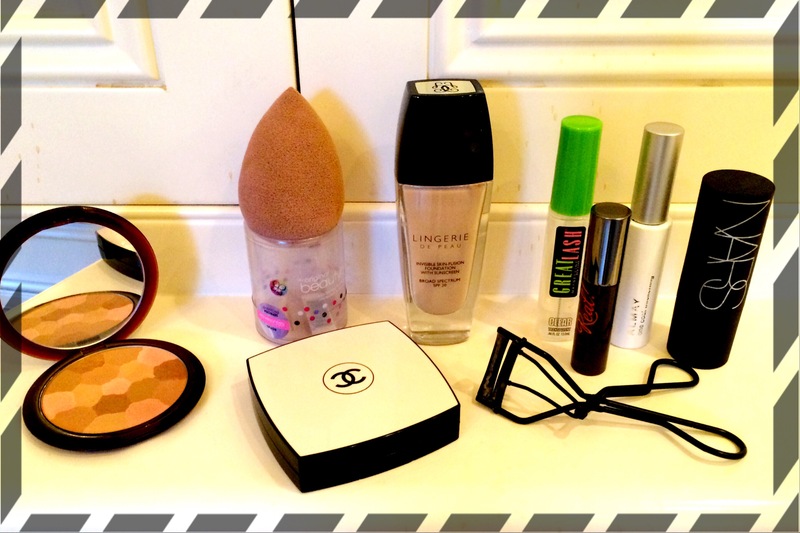 These are items I use in my everyday makeup routine. As you’ll see, my products range from drugstore to department store brands. I am not really brand loyal, instead I pick items that work best for me. Here we go! 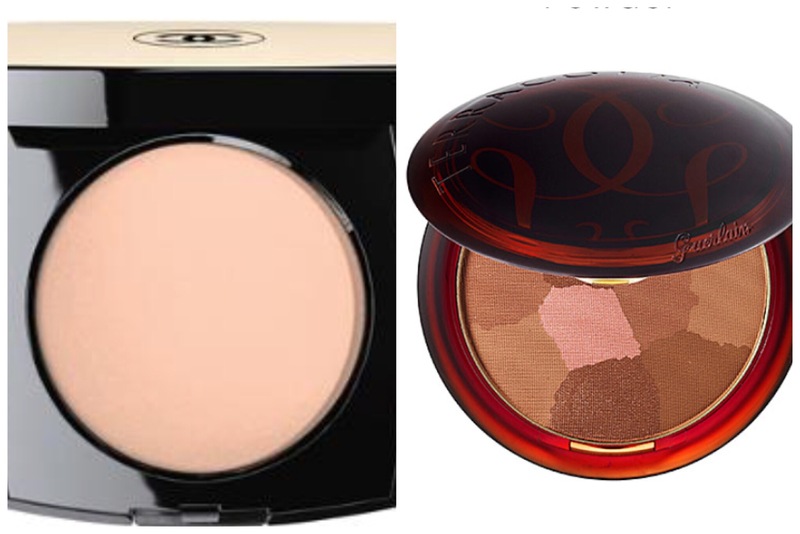 Gurelain terracotta light sheer bronzing powder | $52.00 | Nordstrom and Sephora. I’ve tried many bronzers from drugstore to high end. I find some make my face look more dirty than glowy. Dirty is not a look I am after! Terracotta does the trick for me. It comes in 4 colors, there’s one for every skin tone. With bronzers, I highly recommend that you take the time to go into a store and get a good match. It’s very important that you get the correct color in order to achieve the natural glow you are after. Also invest in a good brush. The wrong brush can make many bronzers go on badly. Take the time to get this product right for you! You will be so happy you did! Chanel Les Beiges | $57.50.| Nordstrom. Available in 7 colors. I use this powder alone or over my foundation. It’s a great match for my skin tone and looks very natural. Guerlian Lingerie De Peau foundation | $61.00 | Nordstrom and Sephora. I probably change my foundation every 8 to 12 months. As my skin changes, I change my foundation. Right now this one is a real winner for me. I discovered this foundation after going into Nordstrom and planning to buy a different brand. The Beauty Stylist in the cosmetic department at Nordstrom took one look at my skin tone and recommended I try this foundation. He was so confident that this was a good match for me and my lifestyle that I thought I would give it a try. I am glad it did, I really like it! It looks natural, feels great, provides enough coverage and stays on all day. It’s a great color match for my skin which is #1 when shopping for a great foundation. This is another item I believe cannot be purchased online. I recommend going into a store and and take home a few samples from different lines. Try them on at home, look at the color in different lighting and see what works best for you. If you would like extra help in getting your foundation right, consider finding the Beauty Stylist in your local Nordstrom Store. If you are in the Stanford area I recommend Luis Martinez at the Stanford Nordstrom Store. What I love about using a Beauty Sylist is that they truly want to find the right product for you. They are not attached to any line in particular which allows you to experience with a wide range of products and hopefully find what is just right for you. There is no charge for the service so consider giving it a try! 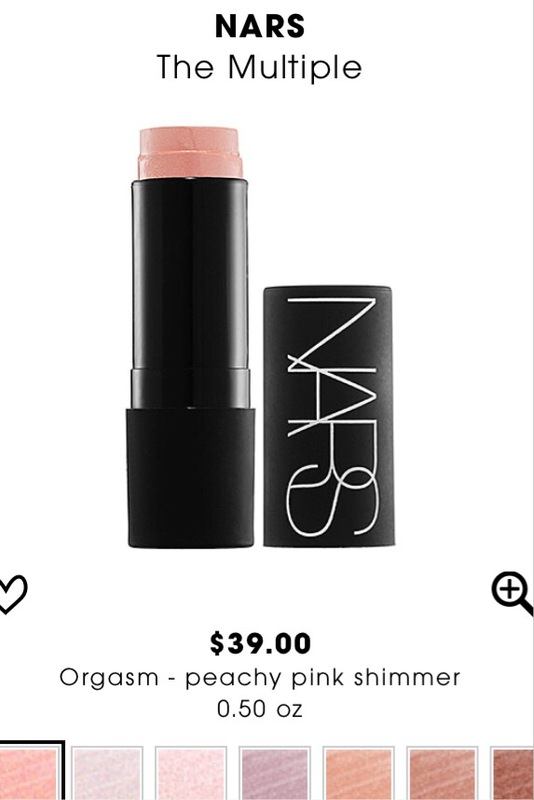 Nars The Multiple |$39.00 | Nordstrom and Sephora. In 14 colors. This is an all-in-one, cream-to-powder, multipurpose stick. It can be used on the eyes, cheeks, lips and body. I love this stuff! Nars eyelash curler. The trick with the eyelash curler is finding one that fits your eye. There’s many choices out there and this one seems to work well for me. I have straight eyelashes, so this is a must-have for me every day whether I’m wearing mascara or not. 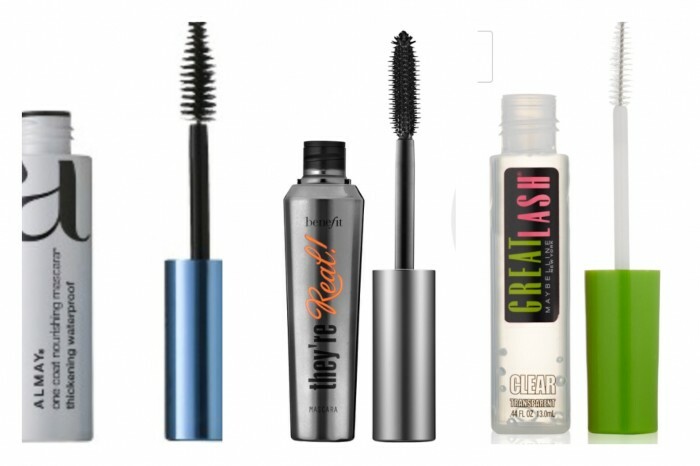 Mascara by Almay | $4.99-$5.49 | Target online, CVS, Walgreens. 5 colors. I come back to this mascara every time I try something new. There’s something about it that works great for me. My eyes are very sensitive to mascara and my lashes have a tendency to stick together with the wrong formula. This one does not bother or itch my eyes, stays on great and comes off easily. They’re Real! mascara by Benefit |$23.00 | Sephora and Benefit. This jet-black mascara gives me lashes I never knew I could have! This is my nighttime/partytime mascara. I have never found a mascara that makes my lashes look more full, long and intense (Diorshow is close). Bonus, it comes off fairly easy with makeup remover. This is my go to for evening looks! Maybelline Great Lash clear mascara | $3.99-$4.49 | Target, CVS, Walgreens. I am not sure if this is intended to control wild hairs, but that is what I use it for! I tend to have wild eyebrows and no matter how much I groom them they have a mind of their own. This does the trick, and keeps them in place. 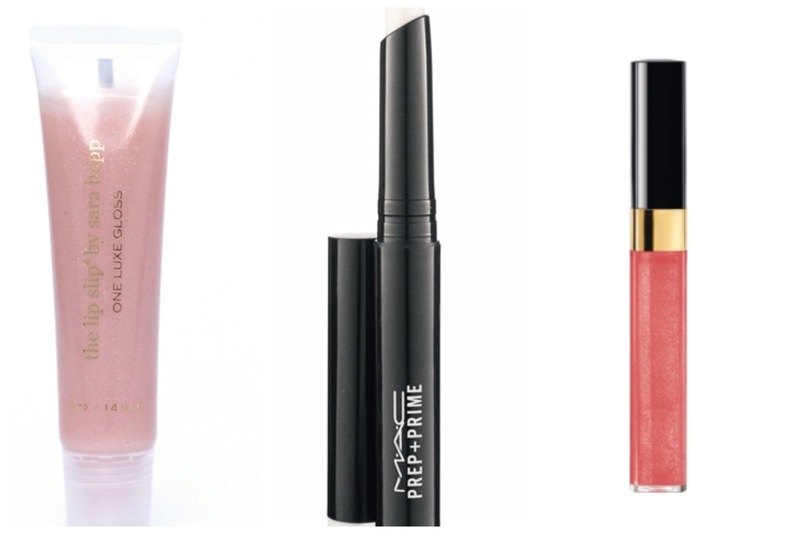 In my small makeup bag that I keep in my handbag, I never leave home without these four items. PIXI tinted lip balm | $8.00 | Target. This one is a big bang for the buck! I truly use this product every day. Mac lip primer | $16.00 | Nordstrom and MAC stores. This primer is fantastic. I put it on my lips before applying my lipstick or lip liner. It truly keeps everything in place. Chanel Glossimer lipgloss | $29.50 | Nordstrom. I have tried so many lip glosses and I come back to this one every time. Is it pricey? Yes. But, I love it. This is the only gloss I use until I am scraping if off the sides of the container. It provides the perfect amount of shimmer, shine and hydration. It is not sticky to me and doesn’t smell sweet. The color I use is pagoda. It’s the only lipgloss I use. I might change my lipstick colors, but I always use the same gloss. I wear it alone, over my Pixi lip balm or over lipstick when I’m feeling fancier. Sarah Happ Lip Slip |$18.00| Nordstrom and Amazon. I have also used the Lip Slip Lip Balm HERE. . I find the gloss in the tube less messy though. This stuff is fantastic. A friend of mine introduced it to me while we are on vacation at the beach. My lips were so chapped, and she said you got to try this stuff. When I thought nothing would work, this one did. Not only is it a great treatment, it works as a gloss as well. My tween kept using mine so I stepped up and got her one as well! We both love it! Now you know the secrets inside my bag! What products do you love? 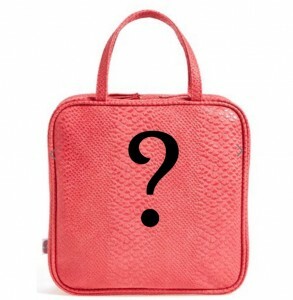 Are their products you can’t live without? Products that you use every day? Do share! I’m sure we would all love to hear, I know I would! 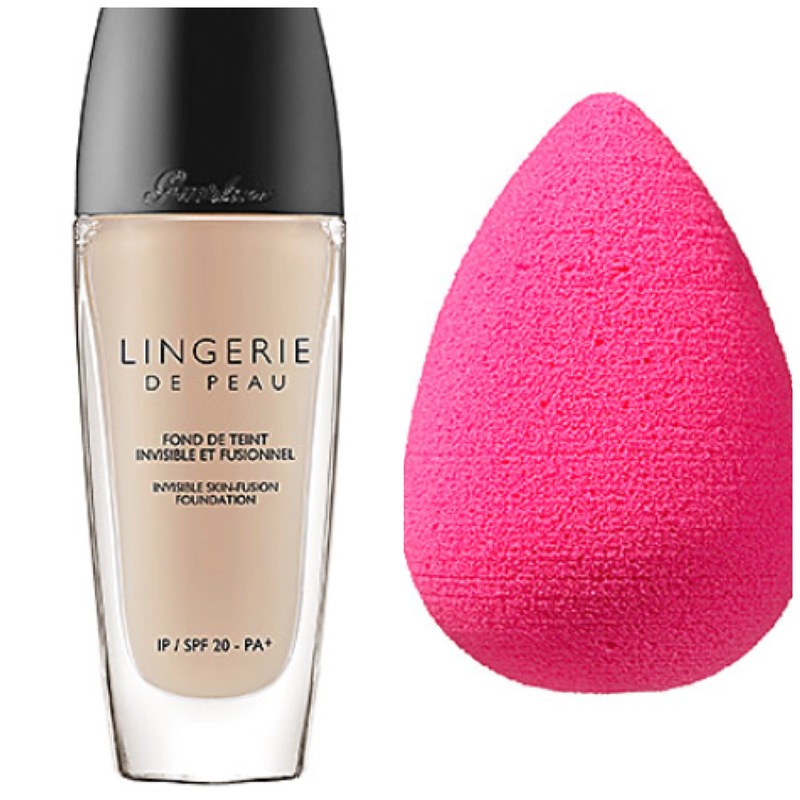 You are so right about the beauty blender! It changed my foundation routine forever. I remember seeing it in the store and thinking it was so small for $20.00! 100% worth it. For days when I want lighter foundation coverage I use Laura Mercier Tinted Moisturizer. I use the oil free version. It leaves my skin with a very dewey finish. For a little highlight at the top of my cheekbones and down the bridge of my nose, I love the LM Matte Radiance Baked Powder in Highlight 01, or the Becca Shimmering Skin Perfectors. Both work great for me. If you want your shadow to stay on all day, Nars Smudge Proof Eyeshadow base is fantastic. I’m a fan of long wearing lipstick. One of my favorites is Urban Decay Revolution Lipstick. I can apply this at 4:30am and only have to reapply after lunch. It’s not drying either, goes on smooth and creamy. I’m a bit of a beauty junkie and could go on forever. Loved hearing what your favorites are! I’d be curious to hear your about your favorite skincare products. I’m looking for a good eye cream. Hi Heather! Wow, what great suggestions, I love it! I want to try out the lipstick, sounds like it stays on forever. I have never tried that one but will now! Eye cream…you know, I have tried many and have yet to find one I really love. They each claim to do something different be it under eye circles, dryness, wrinkles etc. The only thing I could recommend is maybe try asking the beauty stylist next time you are in a Nordstrom. I found the one in my store so helpful. I will be on the lookout for a good one. What is it that you are wanting it to do or target? Thanks for your comments!